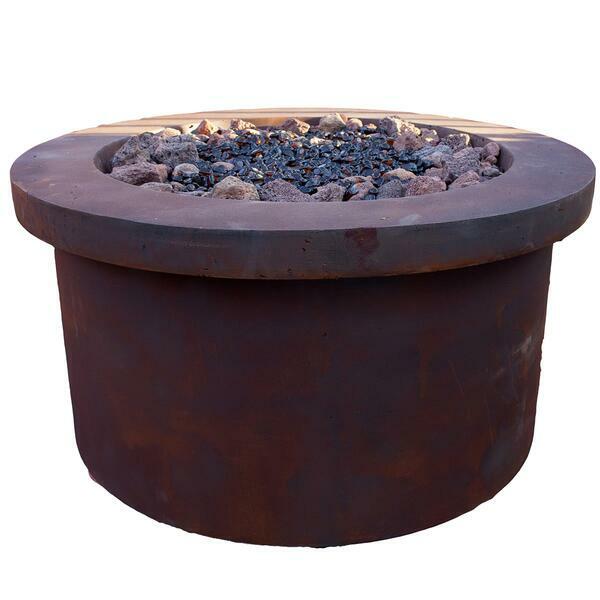 The Urban Series Fiery Rust Round Fire Pit with LED Lighting is a chat height fire pit made for outdoor placement. It features a 42’’ or 36’’ diameter and weighs 215 pounds. 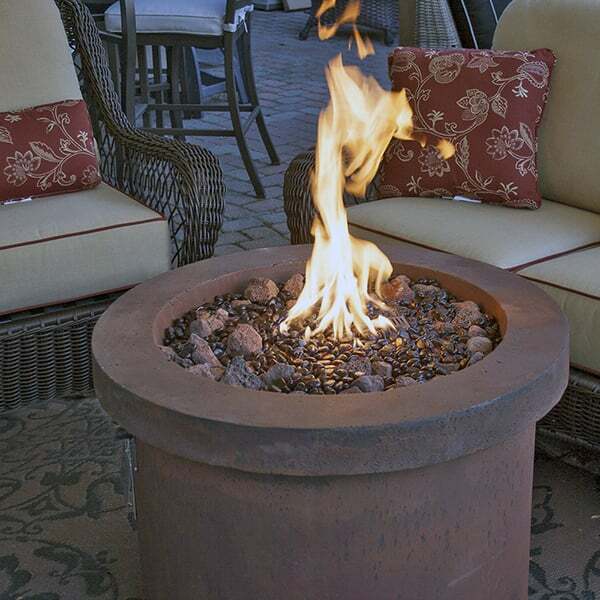 The fire pit is made with Bay Pointe Outdoors’ famous MAGMA CAST material, which is ideal for outdoor placement. 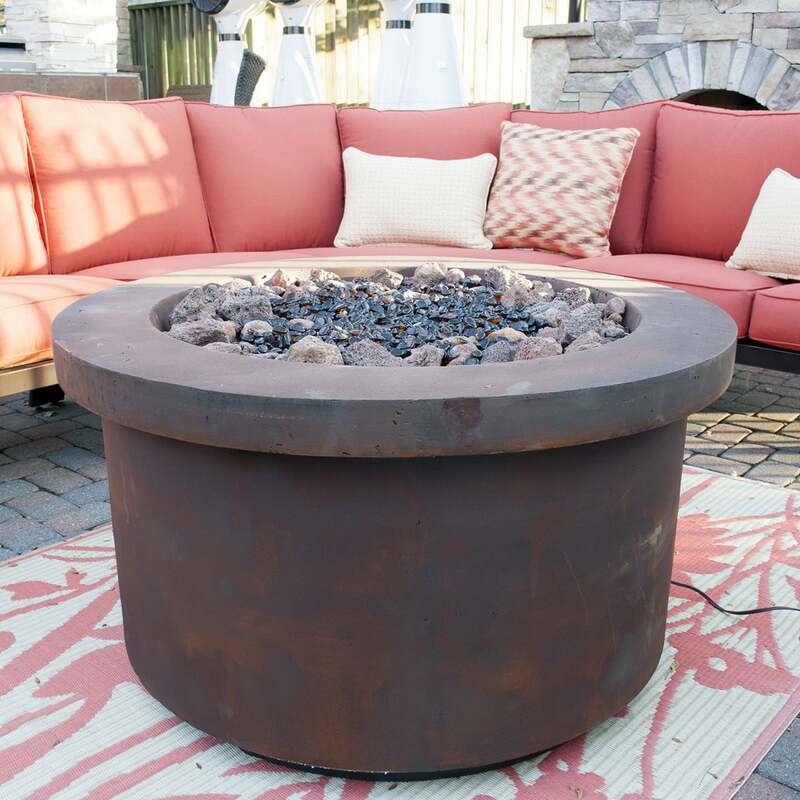 The fire pit is ideal for placement in the center of an outdoor seating setting, like a deep seating collection or a sectional couch setting. The fire pit ignites with an easy electric igniter and the flame heat is controlled with a heat-regulating knob. The flame can run on either liquid propane or natural gas, you choose. 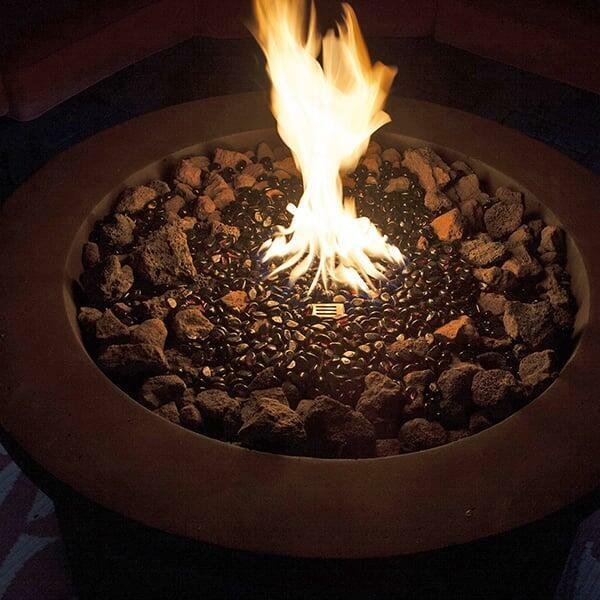 The fire pit is uniquely equipped for late-night use, as bright LED lighting is prominent. The lighting is found under the ledge. Enjoy your nighttime outdoors more than ever!